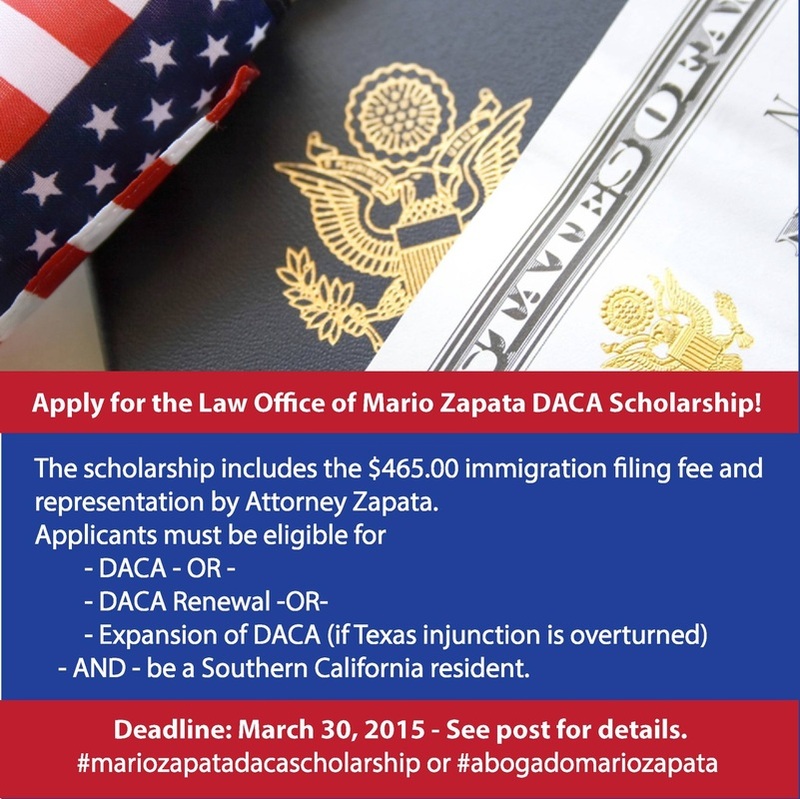 Apply for the Law Office of Mario Zapata DACA Scholarship! The scholarship includes the $465.00 immigration filing fee and representation by Attorney Zapata. Applicants must be eligible for DACA, DACA Renewal, or Expansion of DACA (if Texas injunction is overturned) and be a Southern California resident. 3) Email mario@mzapatalaw.com with information about yourself (Name, DOB, when you arrived in the U.S. and highest level of education received). Lastly, answer the following question, "what effect has DACA had on my life?/ what effect will DACA have on my life?"